Another Easter, another Big Wheel race. This time, a really wet one! 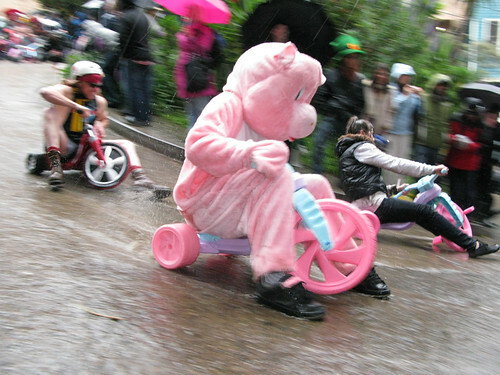 The rain didn’t prevent a good crew of riders from donning costumes and sliding down Vermont street (the real crookedest street in San Francisco) on plastic toys of all kinds. It’s really silly, stupid event, but it’s one of those things I’ve latched on to here in San Francisco. See you there next year.